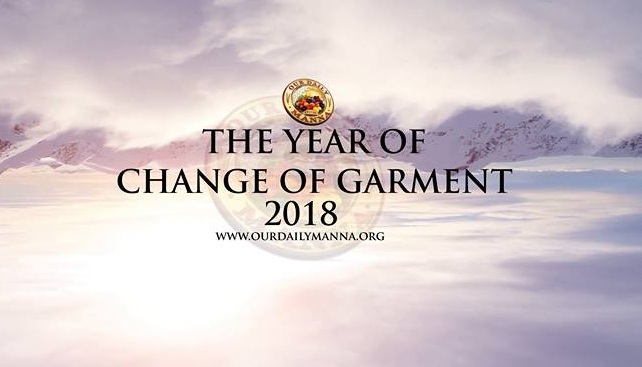 ODM Daily Manna Devotional 22nd May 2018 – ISSUE A QUICK NOTICE NOW! TOPIC: ISSUE A QUICK NOTICE NOW! READ January 2018 Daily Manna Day 25 - MARRIED AFTER 65 YEARS APART! I don’t know what they have told you in the hospital. I don’t know what you have been struggling with for so many years. You have prayed and fasted and asked God to take this sickness away.” I want you to change your perspective today. HE HAS DEALT WITH IT! That is what the Bible says. So, what you need to do now is to take those verses (Isaiah 53:4-5) , and use them to ISSUE A QUIT NOTICE TO THAT INFIRMITY THAT HAS ATTACKED ITSELF TO YOUR BODY. PRAYER POINTS: Take song 1: ‘TIS SO SWEET TO TRUST IN JESUS. Previous Post:Daily Manna For Champions May 21st 2018 – NONE MEANS NONE!